VIBE 360 degrees Spinning Photo Cube Just $7.99! Down from $29.99! Ships FREE! 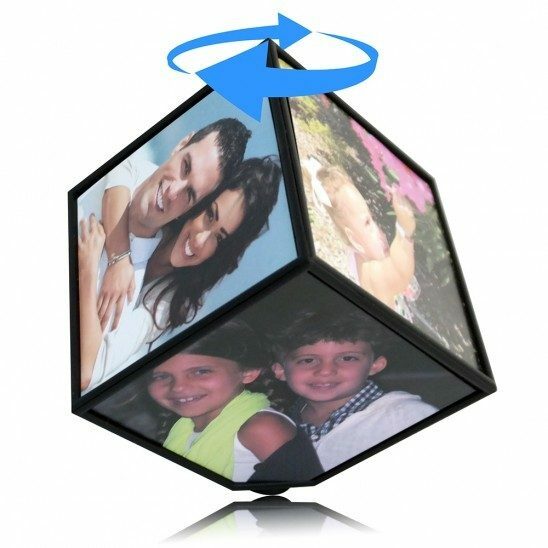 You are here: Home / Great Deals / VIBE 360 degrees Spinning Photo Cube Just $7.99! Down from $29.99! Ships FREE! GearXS has this VIBE 360 degrees Spinning Photo Cube for just $7.99 (Reg. $29.99)! Plus shipping is FREE! The Vibe Floating cube is a fun way to display up to six of your photos at an angle so every photo is visible, while giving the illusion the photo cube is floating on a single corner. Impress your friends and family with the photo frame that rotates 360 degrees slowly. You can change the direction of rotation by gently turning the rotating base. Display your photos on bookshelves, mantel pieces, window sills or even at a dinner table. This frame is sure to be attention- and fun. Order yours today.